User-led groups and service-users are set to raise grave concerns about the work of the team reviewing mental health laws on behalf of the government, including its refusal to take a “full human rights-based approach” to reform. 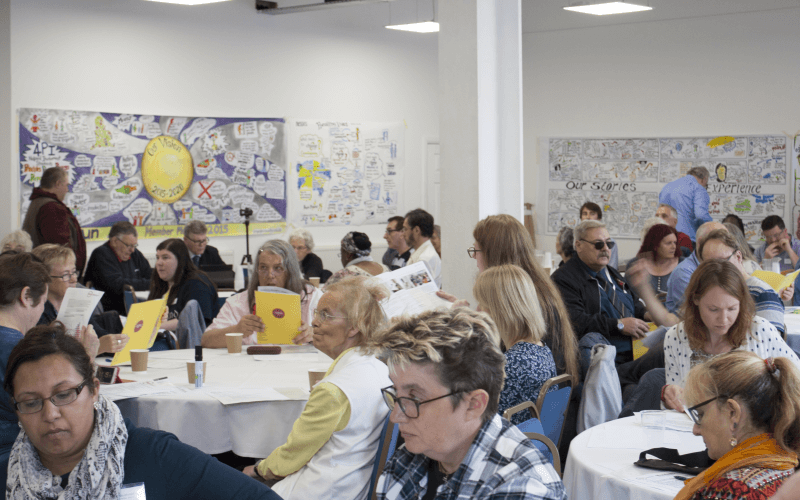 An alliance of user-led organisations, mental health service-users and survivors, and their allies, are to write for a second time to the Mental Health Act Review (MHAR), which is examining the Mental Health Act 1983, which covers England and Wales. More than 120 organisations and individuals – led by the National Survivor User Network (NSUN) – wrote to the review in May raising alarm about its reluctance to recommend full rights that comply with the UN Convention on the Rights of Persons with Disabilities (UNCRPD). The letter called on the review to address the concerns raised by the UN’s committee on the rights of persons with disabilities, after it investigated the UK’s implementation of the UN disability convention last year. Two NSUN representatives met the review team last month to discuss their letter, but they said they did not think their concerns were taken seriously, while the response from the review’s chair – Professor Sir Simon Wessely – and his three vice-chairs “fell well short of what we might have hoped”. Wessely made it clear that he and his vice-chairs would not recommend full implementation of the UN convention. Now NSUN is set to write to the review for a second time next month, in response to the views expressed by Wessely and his vice-chairs at the meeting. The follow-up letter is likely to stress again the importance of a human rights-based approach to reform which gives mental health service-users the same rights as everyone else, and express strong dissatisfaction with the review’s dismissal of the concerns. The letter is again expected to secure significant support from user-led organisations, mental health service-users and survivors, and allies. Among the other concerns raised by the NSUN alliance in the first letter are that service-users, survivors and user-led organisations have been outnumbered in key parts of the review structure, leading to a “tokenistic” approach. And they say the review has been “incredibly rushed”, with the review brief being to produce recommendations this autumn, ahead of NHS England’s 10-year funding plan, which is expected later this year. This has caused “significant barriers to service user and carer involvement” in the review. And they want to see a greater effort to reach those with lived experience of detention and compulsory treatment, with an adequate focus on those from particularly disadvantaged groups, including those from black and minority ethnic (BAME) communities, lesbian, gay, bisexual and transgender communities, people from disadvantaged socio-economic groups, people with learning difficulties and people with physical impairments. They also want the review to place more of a focus on social models of mental distress, and to examine alternatives to clinical services and provision of resources for these alternatives. They also have major concerns about the quality of the interim review report, which was published in May, because of the reporting and reliability of the data it used, and the lack of clarity on the evidence for its findings. Sarah Yiannoullou, NSUN’s managing director, said the review team had made it “quite clear” that that they were not going to recommend any move towards mental health legislation which was fully compliant with UNCRPD. Yiannoullou said the review was incredibly important because it was likely to be the basis for the last major reform for the next decade. But DHSC also said that a service users’ and carers’ group was embedded in the governance of the review, and that every working group established by the review had at least one service-user or carer as a full member. DHSC said that more than 2,000 people and organisations had provided views for the review through a call-for-evidence, a survey and face-to-face meetings. The department also said that 30 small focus groups had been held with service-users and carers, with participants including those with experience of low, medium, high security and forensic services, autistic people and those with learning difficulties, and those from BAME communities. A further two workshops with service-users, carers and professionals have just been held, while at least 15 more focus groups will be re-run in early autumn to test the review’s thinking.